I like corporate music. When I say 'like' I mean that this sort of music fascinates me rather than makes me feel good, or human, like other kinds of music that touches my heart. By corporate music I mean specially-commissioned songs that glorify a company. Sometimes these are performed or produced for conventions, or as morale-boosting exercises for staff. They are always utterly ridiculous because of their pomposity. One of my favourite examples of this genre is a preposterous song called Up Came Oil (.mp3, 2.8mb), recorded for an in-house Exxon musical once upon a time. If you like this, you might want to listen to WFMU's list of sound files that they've made available from the excellent Product Music album. It's not a huge leap to go from liking corporate music to liking a similar kind of ephemeral music: advertising jingles used to sell diet products. These 30-second jingles seem to express so many aspects of corporate weight loss culture, and that's their job: they make creepy claims based on their own twisted logic and versions of reality; they are so bizarre as to be exasperatingly amusing; they are as catchy as 'flu; they make you feel brainwashed and they do that on purpose; they are the epitome of banality. 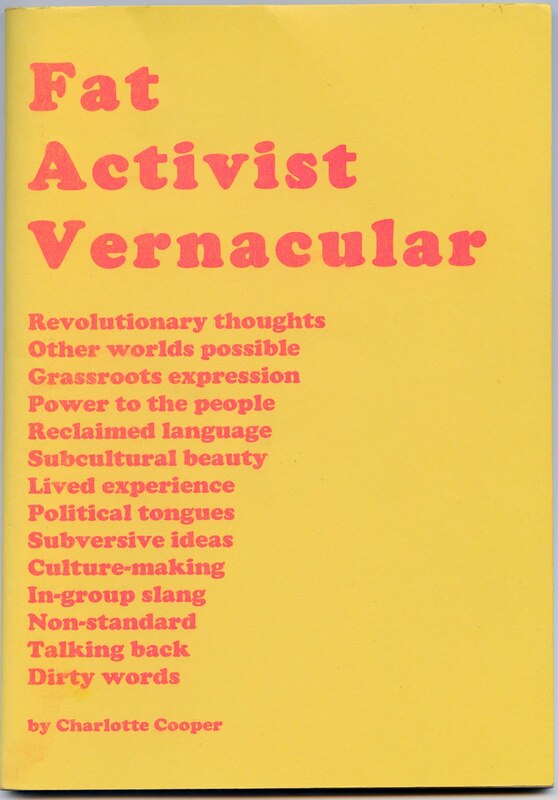 I particularly enjoy some of the genre conventions, such as the authoritative male voice-over, and the shrieked choral copyline so popular with diet pop adverts. Over the past couple of months my partner Simon Murphy and I have been collecting examples of weight loss jingles. 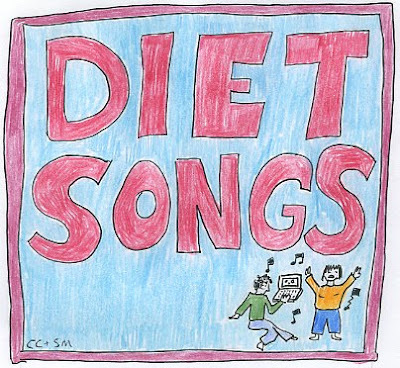 We've recorded our own versions of our favourites in a miniature musical project we've called Diet Songs. I will be posting them here. We did this in our front room on Simon's laptop, which has a music application called Garageband on it. I sang the songs and played a bit of autoharp, and Simon did everything else. Diet jingles are usually consumed without thinking, some of them are so familiar and it's disturbing to think about how this rubbish lives in dusty corners of our brains. In recording Diet Songs, Simon and I hope to bring more of a conscious and critical awareness to this stuff, to make fun of them, and to have a good time singing and making things together. 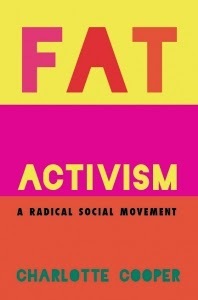 Diet corporations take themselves and their shoddy brands so seriously, so we want to do our bit to help deflate them a little, and to help rob them of their oppressive power. The jingles for diet fizzy drinks in the 1980s mark the zenith of the genre, as far as I can tell. Marketing fashions mean that jingles are not a common now as they used to be. I wanted to sing some jingles for Weight Watchers and – ugh – the devil's LighterLife but although these companies plague us with television adverts, they don't use catchy songs to sell their crap. I'd like so sing more of these jingles. Please send links to sound files or video clips with weight loss jingles that you think would make good Diet Songs. We'll record them if we haven't already come across them ourselves. Also, I'm looking for words and music to Marvel dried milk powder, "It's Marvel-ous, less fat too." Remember it? What a project! Cannot wait. The 80s heyday? Absolutely. Treasure trove. Or trash heap. Diet Pepsi's was pretty slick. Tab, too. By comparison, look how clunky the lyrics were to introducing Diet Coke! Just for the taste of it. Diet Rite had a similar "people who don't diet try it" approach. I think there was a stigma to buying diet products before the tables got turned and it became shameful to order sugary soda? You don't have to be a fat cow to prefer our delicious taste! "Wish you all could be California slim" with Diet Sunkist. Really, really dislike the Beach Boys, so this one really mocked me all the more. Extra Gum, precursor to Viagra. Unbelievably, but with no song or jingle, is the Ayds Diet Plan, which I remember well from the "70s: crack candy that met, for understandable reasons, its timely death in the '80s. I have just heard Nimble! So good! So dreamy and ethereal. Bread lighter than air! Wish I could be lighter than air, just a wisp of wind! Aiiieeeee! So good! You know the genre, hehehe. We have several of these lined up already. I think I might have to insist on several Diet Coke ones because they're so frantic and mad. Diet Rite is new to me, and Extra Gum too. I love to imagine Diet Sunkist mocking you.